Please be sure you are reading your weekly emails for any updates or changes! They are also archived here for your convenience. DID YOU KNOW? Good News: In all these years, we have earned over $12,000 collecting BoxTops! Bad News: each year we are losing steam. Help us reverse this downward trend by clipping ALL of your BoxTops and submitting them BEFORE they expire! Have friends and family help. Let's have a big initial surge this year. We hope you've saved all summer so we can start next year really strong!! 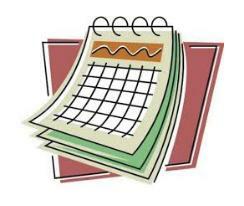 DID YOU KNOW YOU CAN LINK THE LFS CALENDAR TO YOUR PHONE OR TABLET? Find directions here! If you are a parent who is not receiving these messages by email, please notify the School Office.